I know I have told this story before, but it bears repeating. Way back in 2011 I was watching the S&P like a hawk. Trading each squiggle, I tried to understand what was driving the markets at every point. I focused on technical levels, monitored the news and spent way too long staring at the screens. But on some days, the stock market would get mysteriously strong. It would usually occur mid-morning. Often stocks would sag near the open, look like they wanted to break lower, when all of a sudden - out of the blue - stocks would go bid. I couldn’t understand it. There was no “reason” why they should be rising. Yet they did. It took me a while, but eventually, I figured it out. Although it flies directly in the face of Dr. Malkiel’s Random Walk Down Wall Street, the days when the Fed expanded their balance sheet through bond purchases resulted in outsized stock market gains. 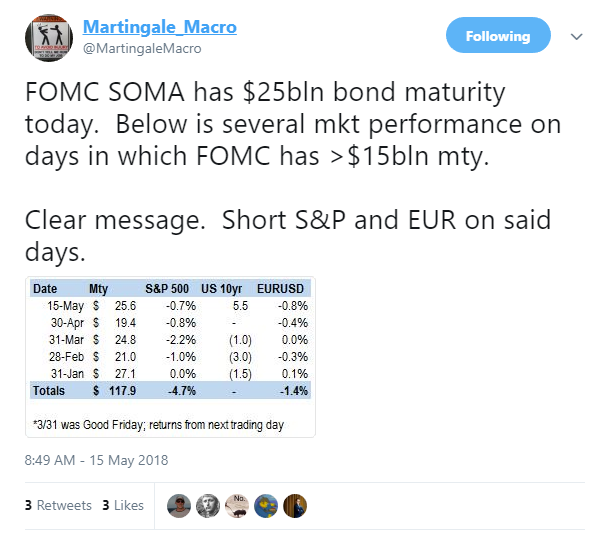 These bond buys were conducted through Permanent-Open-Market-Operations (POMO) and the great thing about a transparent Federal Reserve is that they listed the schedule in advance, so it was easy to measure the relationship between POMO operations and stock market performance. I know it seems crazy, but the Federal Reserve’s bond buying had a direct and immediate effect on the stock market. I don’t know why the relationship would be so unequivocal, but I learned the hard way not to fight the Fed on days when they pulled out the blue tickets in the bond market. I even tracked the amount of bond buying versus the stock market outperformance to make sure it wasn’t all in my head. Sure enough, the larger the bond buys, the bigger the outperformance. Now eventually the market figured it out and the relationship became less reliable, but that process took years. Fast forward to today. 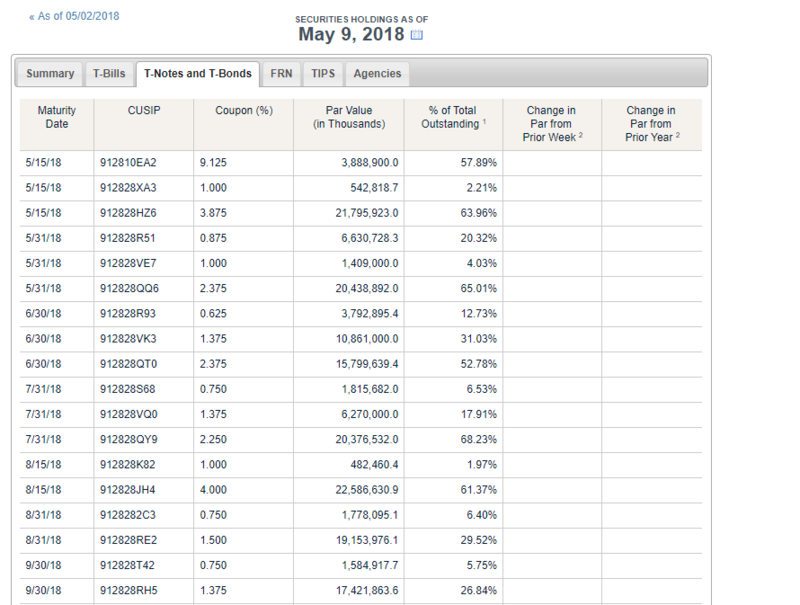 Although the Federal Reserve has a broad schedule for winding down their balance sheet, they are not systematically selling off their portfolio. No, instead they are allowing their portfolio to mature, and at times not reinvesting the proceeds. This means that the process is somewhat lumpy. Whereas quantitative easing purchases would be limited to $5 billion or so on any one day, with the quantitative tightening balance sheet wind-down, the maturing days can be many magnitudes larger. That’s over $26 billion of bonds maturing today. I am not some lonely lunatic who singularly believes the Federal Reserve’s POMO operations directly affect the stock market. Brilliant! I should have been on this way earlier. The days when the Federal Reserve has a large bond maturity have seen abnormally large declines in the S&P 500. I am writing this before the close, but it’s no surprise that today’s stock market performance is weak. The next big maturity day is May 31st. On that day we get almost $29 billion maturing on month-end. Watch out below.